Did you know there is stunning home decor on Amazon like gorgeous bar carts, coffee table books, chic accent chairs and stylish pendants and table lamps? And they are so affordable! 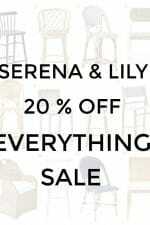 I’ll show you all the beautiful designer furniture and home decor that I love to shop for on Amazon – and how I save money on shipping! Also, today is Amazon Prime Day – a 36 hour sale event exclusive to Amazon Prime members! 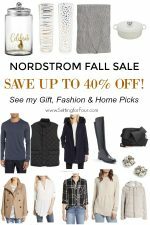 See all the best deals. 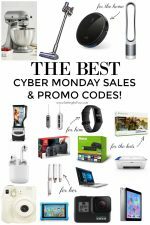 My husband and I are seriously in love with Amazon – especially since we are Amazon Prime members and get free 2 day shipping! We love getting our orders super quick and FREE! My hubby isn’t a big shopper but he loves to buy some of his tools, camera equipment and books on amazon and I love to shop for home decor! You can get your Amazon Prime membership here! Here is a list of Amazon Prime Day steals and deals! In honor of Amazon Prime Day (with 100,000’s of deals and discounts just for Prime members – hola!!) 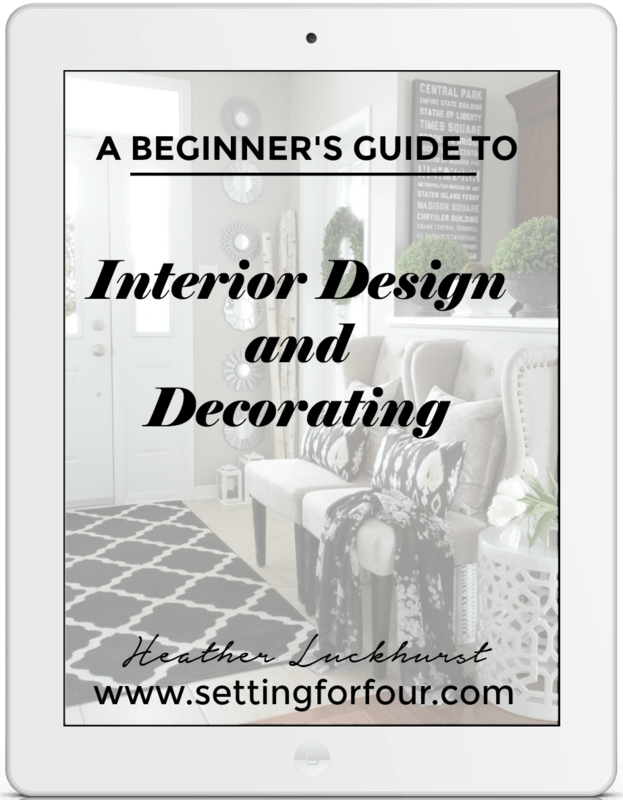 I thought I’d share with you a few Designer Home Decor Items You Probably Didn’t Know Are On Amazon! I bought our stunning entryway tufted banquette bench from Amazon (it’s 46% off right now! We are in LOVE with it!) and our gorgeous tiered coffee table is from Amazon too! 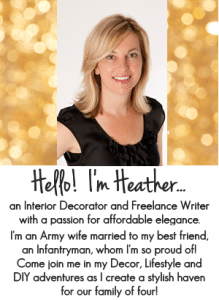 Gorgeous Designer Home Decor and Furniture On Amazon ….THAT You Probably Didn’t Know About! 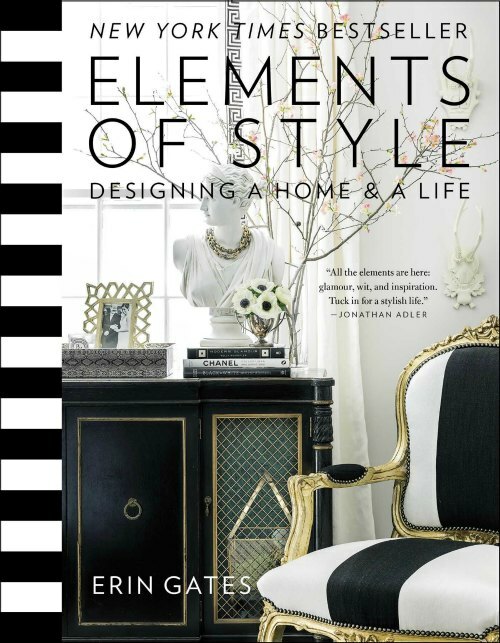 I especially love design and decor books like this New York Times Bestseller Elements of Style- Designing a Home and a Life. It’s an amazing book full of tons of gorgeous pictures and decor tips! Home decor idea: Add coffee table books to your tables to display your passions and hobbies! Top with a beautiful sphere, decorative beads or a vase of flowers. See more of my favorite coffee table books here! 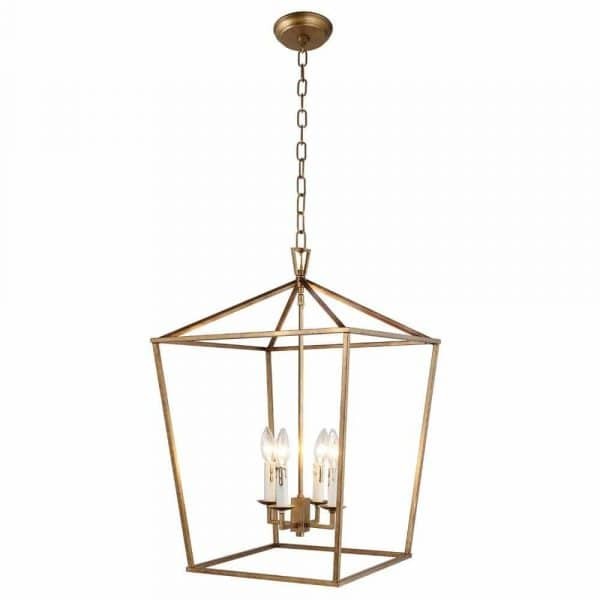 Amazon has all the current lighitng styles from trendy to timeless like this stunning Darlana lantern pendant (comes in aged iron and gold) perfect for kitchen islands and entryways! I LOVE using faux trees and plants in my home! They require zero care and are so life like – every room needs a plant in it to give it life and interest! I love our faux sansevieria plant that I have in our living room and our faux fiddle leaf fig trees that I have in our entryway and family room! Yes – you can buy the most beautiful accent chairs on Amazon! 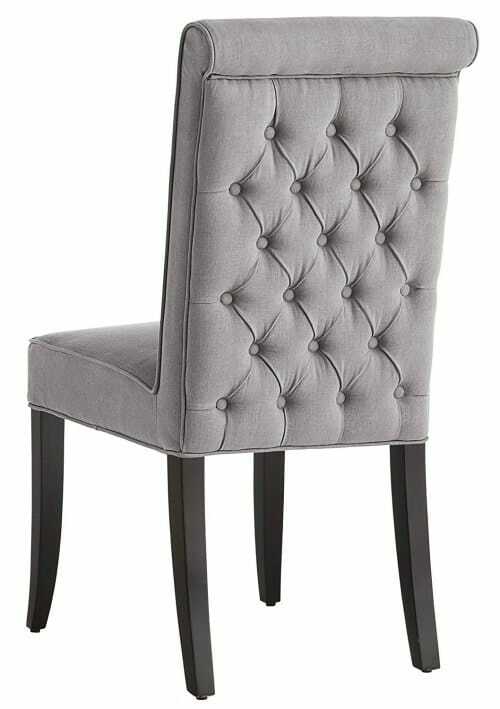 Like this gorgeous tufted side chair! This stunning chair is perfect for the dining table or home office. I’m obsessed with bar carts! 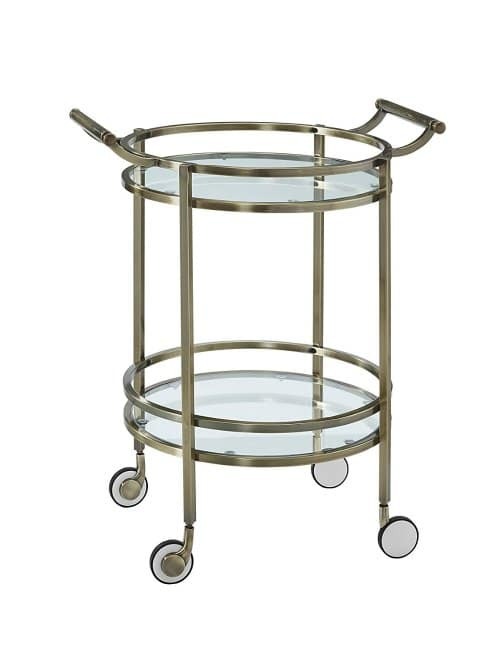 This gorgeous brass bar cart is stunning! I love the shape and brass finish! So stylish – wouldn’t it be fun to add this to a dining room or living room? I love vases! 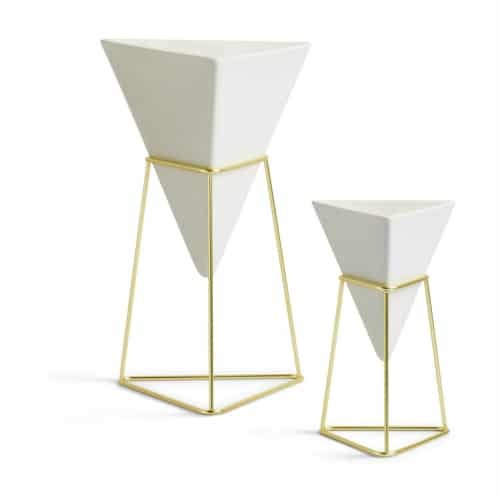 I’m getting these gorgeous Geometric vase planters for my desk and bathroom! Aren’t they stunning? Keep pens and markers in them, pot a little succulent, keep makeup and beauty supplies in them! Yes – Table lamps with style can be found on Amazon!! 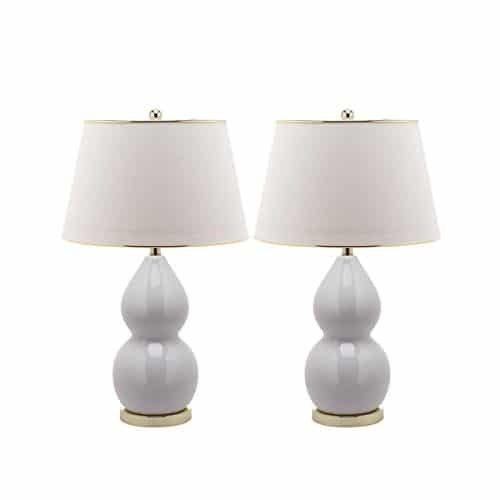 Like these stunning white and gold gourd shaped table lamps – wow!! These would look amazing in a coastal style home, traditional or glam farmhouse style home! You can sign up for your Amazon Prime membership here and see all of the Prime Day deals here! …Have an Amazon gift card? You can get a $10 bonus when you reload $100 or more here!!!!! Oh my – What a deal! 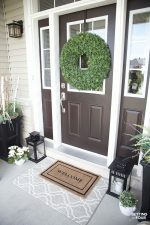 I hope you like my post today on Amazon Prime Day and home decor on Amazon! 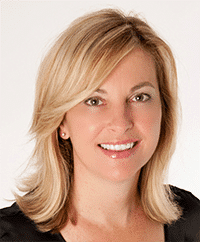 Enjoy decorating your home while saving money! Great choices. I am also a prime Amazon member and must say it is definitely worth the two day shipping and deals!